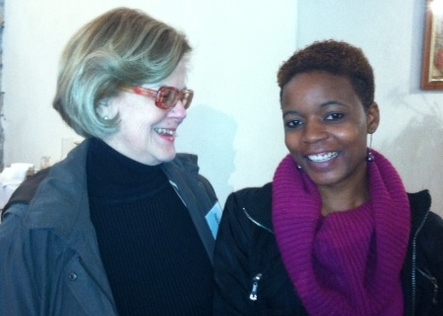 I was invited to the Church Of the Good Shepherd in Kirstenbosch Cape Town last Sunday. I was meant to give a talk in line with Women’s Day that was on 09/08/2013 and the work that I do with female street children was relevant. Women’s day is a day that commemorates the national march of women on 09/08/1956 to petition against legislation that restricted the movement of African women. It is the day that South Africa remembers and pays homage to the women of this nation who fought against apartheid. The strength of women and girls who become women is an important theme in society. 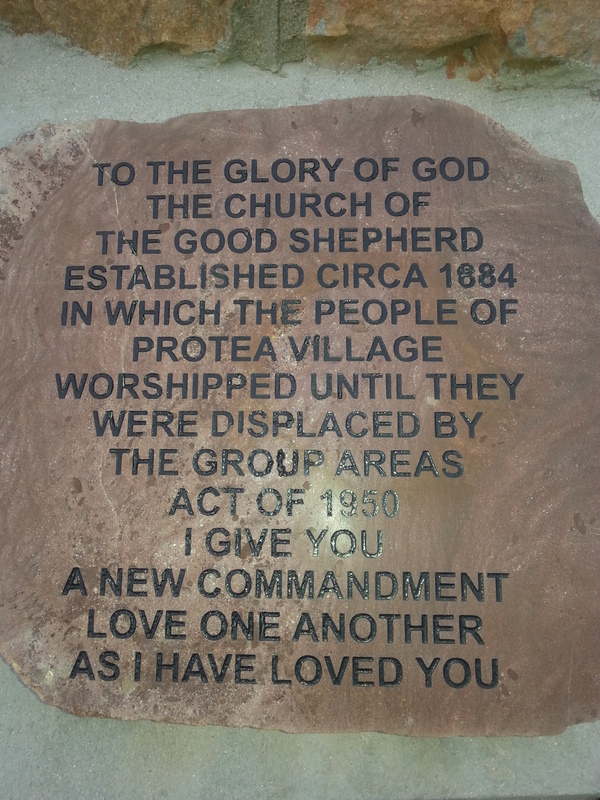 The Good Shepherd Church-Protea also holds a history as it was the people of the Protea Village worshipped until they were displaced by the Group Areas Act of 1950. Here I was standing on historic ground and being part of South African history. This was an extraordinary moment. Having the opportunity to speak about the work that I do at Ons Plek Projects for girls was an honour. Some of the congregation are the original Proteas, there was an amazing woman aged 90. I felt young but proud to be in the presence of old age which for me means fountain of knowledge. I spoke about how the girls at Ons Plek are given hope, love and basic needs of every child such as accommodation, education and a chance to be reunified with their families(www.onsplek.org.za). Being a social worker there for the past two years has afforded me the opportunity to make a difference in the lives of girls who need guidance and love in their lives and ensuring they become able,independent women in society, inspite of their traumatic backgrounds. The congregation at the Church of the Good Shepherd was very welcoming and warm. The whole experience was like a trip to visit my grandmother…heartwarming!!! I was happy to give information to those who had no idea what goes on in the streets of Cape Town. Sometimes our lives are so comfortable that we forget there are those who are less fortunate than ourselves. I was happy that the church set aside a whole month to compassion ministry which allows them to hear and see where they can be of help in society. This is the work of God. I thank Good Shepherd Church for inviting me to come and speak on behalf of Ons Plek. I am grateful for the ladies who prayed for me to have strength in the work that I do(I needed this), for the girls to have a bright future and all the blessings they deserve. I was touched on a personal level because I realised only God can give the strength to cope in difficult circumstances, only God can give the strength to go on. I need more of these excursions where I get to mix with different groups of people and we unite for one common goal which is to make a difference in society.